Ningbo East Water Co.,Ltd in charge of export sales,is a professional manufacturer for water environmental home appliances. All products have CCC certification, the vast majority of products are CE certified,very good quality,but competitive price. Our company takes the “quality is life,customer service first,” as production standard and principle,executing complete quality assurance system involving the whole process from R&D to manufacturer,so our products have enjoyed a good reputation. Ningbo East Water Co.,Ltd welcome worldwide agents and distributors to join us,strive to create our perfect cooperation and resplendent achievement in the future! 6w household water uv sterilizer PHILIPS light,efficient and rapid method of water disinfection without the use of heat or dangerous chemicals. 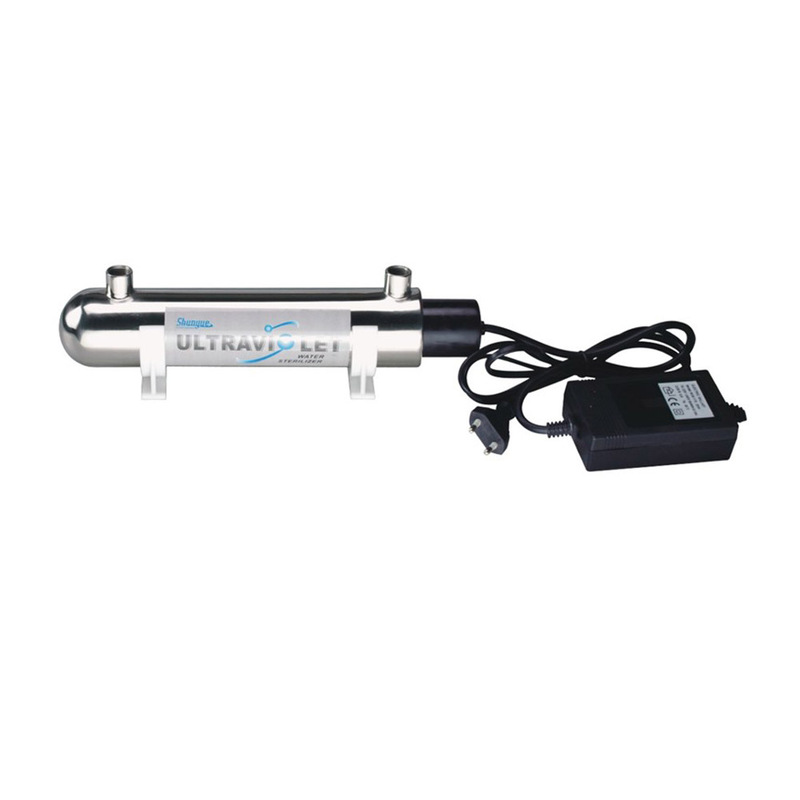 It utilizes germicidal ultraviolet light to disable bacteria quickly and reliably, viruses and other micro-organisms present in water. efficient and rapid method of water disinfection without the use of heat or dangerous chemicals. It utilizes germicidal ultraviolet light to disable bacteria quickly and reliably, viruses and other micro-organisms present in water. inlet/out(inch) 1/4" 1/4" 1/4" 1/4" 1/4" 1/4" 1/4"